It’s a good question that what a coil framing nailer is! The definition is right in the name as ‘coil’. Coil means something which is arranged in a series of circles. So, it can be said that ‘something’ in a framing nailer is arranged in a series of circles. 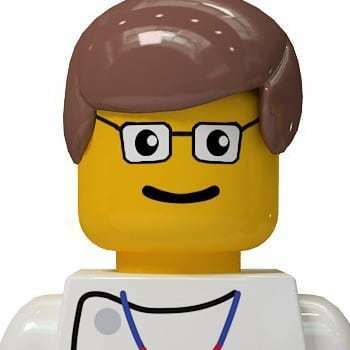 And that ‘something’ is the ‘ails’. The nails in the framing nailer are gathered into a sequence and twisted like a coil and for this reason, it’s called as coil framing nailer. A stick framing nailer is a nailing kit where the nails are holding in a stick like a magazine. Usually, in this kind of nailer, nails are loaded as a strip which makes it less heavy than coil framing nailer. The main difference between these two nailers is the loading mechanism. As the coil nailer has a drum like a canister where the nails are loaded into a coil. It’s like a machine gun bullet loop. On the other hand, in stick nailer, the loading mechanism is a bit different than coil framing nailer. In stick nailer, the nails are loaded in a long magazine and they come into a strip. Learn about 15 vs 16g Finish Nailers. 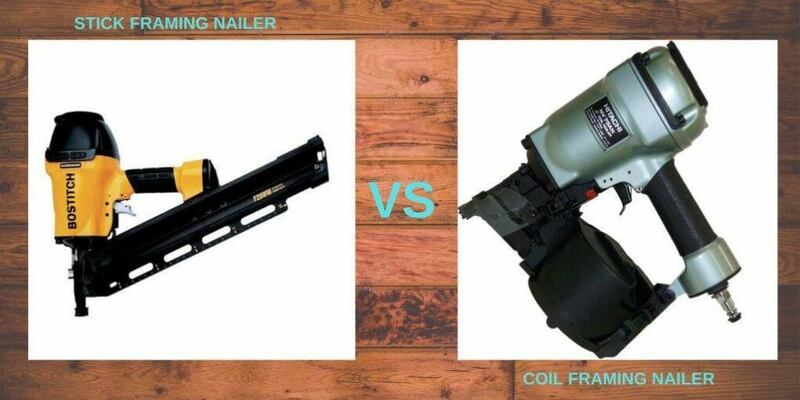 Another main difference between coil and stick framing nailer is their nail holding capacity and this makes the basic difference between these two nailers. A coil framing nailer holds up to 300 nails in a canister which makes easy for the builders to do the roofing job faster. On the other hand, a stick framing nailer holds up to 30 nails in one magazine which makes builders reload the magazine again and again. Both types of nailers are used for framing structure. As coil nailer can hold more nails than other nailers so that it is used for roofing most of the time. For roofing, because reloading the nailer is pretty time consuming and hectic, a builder has to climb up and down from the roof to reload the nailer so it will be easy if the nailer is loaded more nails at a time. As there is an addition in the coil nailer to hold the nails so that it is much heavier than stick framing nailer. A coil framing nailer weights up to 17 pounds. On the other hand, a stick framing nailer weights around 9 pounds which makes builders comfortable to work with a stick framing nailer. Both coil and stick framing nailer are used in heavy-duty house building tasks but still, their designs, features, and size make a huge difference between them. As coil framing nailer holds more nails than a stick nailer so that its mainly used in roofing job on the other hand as stick framing nailer has an angle and get the corner so it’s mainly used in the fencing and other framing jobs.